I made this pendant for http://cheerylynndesignschallenge.blogspot.com/2013/01/cheery-lynn-designs-challenge-62-white.html Cheery Lynn Designs Challenge 62 - Winter White Her hair is wire that I curled, her wings were cut from DoodleBug white glitter paper using Exotic Butterflies Small #2 die, she is holding daisys cut with Darling Daisies die. Thanks for stopping by! What a great way to use the dies for something different. Love it. Thank you very much for joining us this week the Cheery Lynn Designs. Wow what a beautiful pendant. 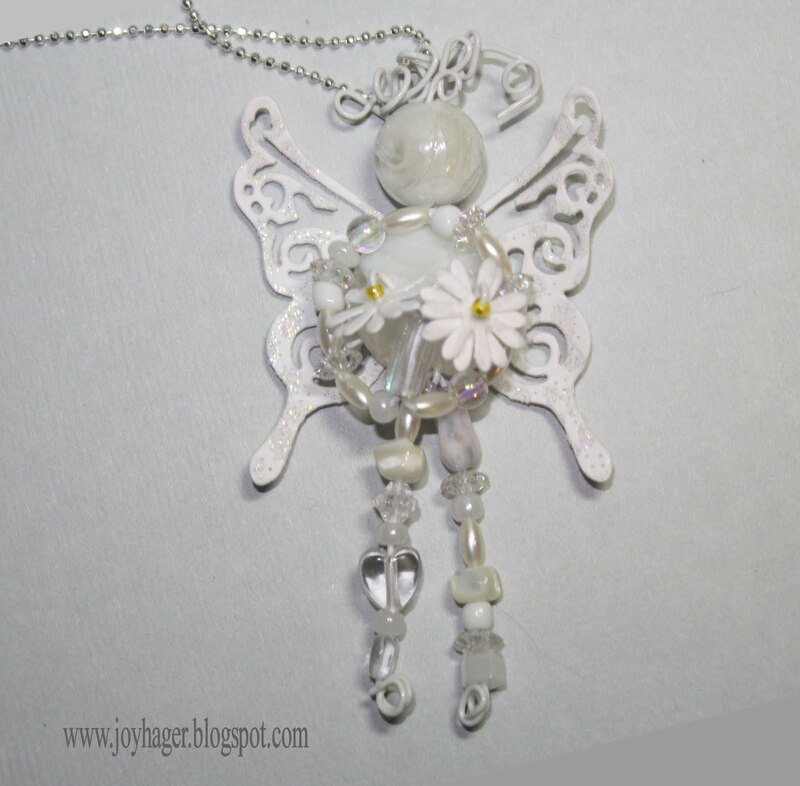 Thanks for sharing it with us at Cheery Lynn Designs Challenge. Wow! This is gorgeous! Thanks for stopping my my blog.